The Republic of Kazakhstan is located in the Northern Hemisphere on the boundary of the two continents of Europe and Asia, and with a total area of approximately 2.7 million square kilometres, represents the largest land-locked country and the ninth largest country in the world. It shares borders with Russia to the north-west, north and east; the Central Asian states of Turkmenistan, Uzbekistan and Kyrgystan to the south; China to the south-east and the Caspian Sea to the west. Because of its transcontinental geography and the great variety of natural habitats and climatic features prevailing throughout most of the Republic, it is home to a high diversity of different insect species, many of which can be expected to be of scientific interest from a zoogeographical perspective, for example the many endemic and relict species. 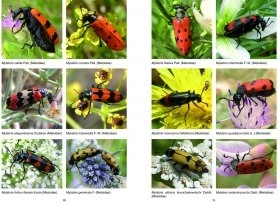 However, most of Kazakhstan's insects have been poorly studied. This book will form the basis for resolving this dearth of knowledge and appreciation for one of the most diverse and fascinating groups on the planet, particularly within the geographical context of its coverage. 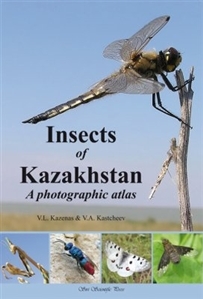 This atlas contains pictures of insects in Kazakhstan from various taxonomic groups. For most of them the correct scientific name is provided, in addition to the family in which it belongs. The authors, who are both professional entomologists in Kazakhstan, provide a comprehensive overview of the rich and peculiar insect fauna that occurs there and illustrate the most common and larger insects that will be immediately apparent to experienced nature watchers, and those which are most likely to be seen by amateur entomologists, students and tourists visiting the country. In total, more than 1000 species are photo-documented, in many cases for the first time. Please note that there are no distribution maps included in this book.